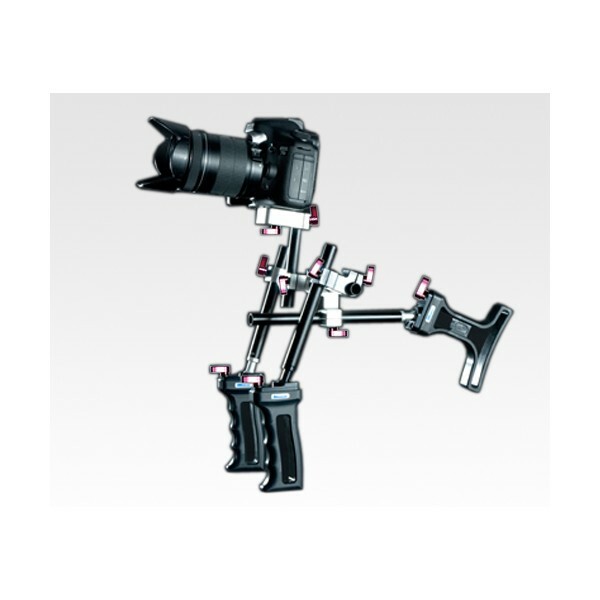 A strong dual-handle system allows your video capture ease and stability for 5D Mark II,500D, 7D, D90, D300S , GH1 and so on. Shooter 1.4 (luxurious model) is the highest configuration of the "shooter" series with the most comprehensive configuration to meet high-end professional needs. More changes and combinations allow the shooter 1.4 to accept HD DSLR video shooting comprehensively. 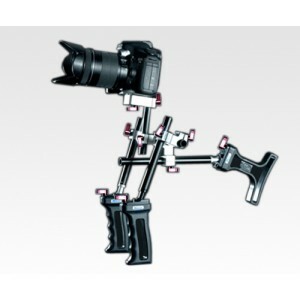 The double-handles allow shooting with more stabilisation and ease, allowing the photographer to be more comfortable. Strong and stunning in apprearance. It allows your shooting to gain a professional result. 1. Shooting is more stable with body mechanics, being the best DSLR anti-shake system. 2. Allows you to handle DSLR in a similar way to a video camera. 3. It can extend your camera to any angle in any direction. 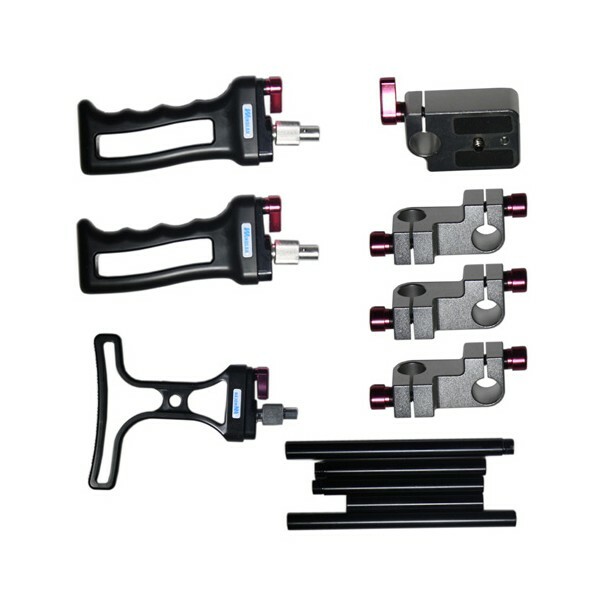 No matter whether overhead, high angel or low angle shot, you can be stable and comfortable. 4. A variety of combinations allows you to use imagination to your own needs, allowing a larger shooting range and be more comfortable in use. 5. It can be added to your other professional equipment such as lens hood, follow focus, viewfinder, photoflood lamp, external display, batteries and so on.